Christmas coloring books are an easy way to help both children and adults relieve stress during the holidays. The holidays are a wonderful time of year for families, but Christmas can be rough on everyone. Kids and adults alike should have resources readily available to help everyone relax. 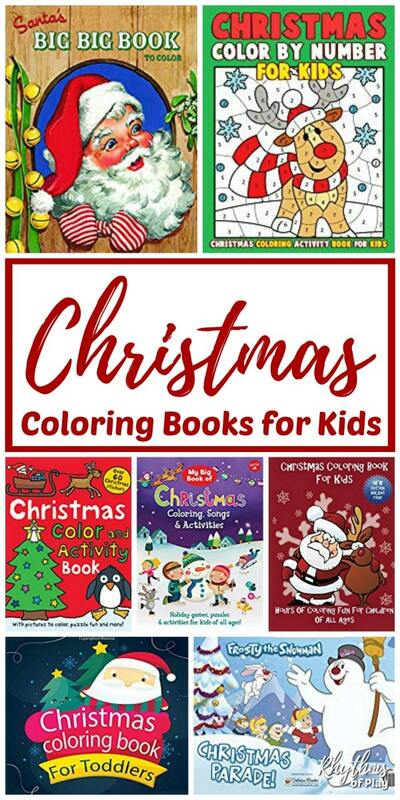 Keep everyone busy and happy throughout the holidays with this awesome collection of Christmas coloring and activity books for kids and adults! Christmas is a time of joy, relaxation, and blessing… ‘Tis the season to COLOR and get creative with the whole family! 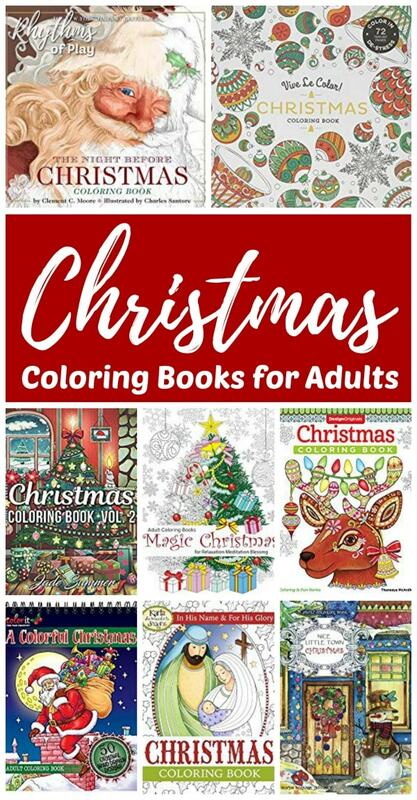 You can find something for everyone on your list in this awesome collection of Christmas coloring and activity books for children and adults. This list also includes the best coloring tools for adults and children available today! Finding easy ways to relieve stress during the holidays is important for both children and adults. Christmas coloring is a perfect way to practice mindfulness. Coloring in Christmas coloring books is a family activity that can help bring joy to girls and boys, kids and adults, alike! Christmas coloring activity books, kids yoga, sensory bottles, and getting outside are four easy ways to keep the everyone tame and happy over the holiday break. Coloring can help your child relieve stress while they learn about color, hues, line, form, and perception. Christmas coloring books are also a great tool to help children develop hand-eye coordination and pencil control. Children gain confidence in themselves when they pick up the pencil and practice. Kids Coloring Books make great gifts too! They’re perfect for gift baskets, stocking stuffers, birthday gifts and a wonderful way to celebrate special events and holidays. This portable monster art set would also make a great gift idea for kids! For more coloring tool ideas, you can find a list of our favorite coloring supplies below. This was the first coloring book my daughter ever received. At the time it was bigger than her! Big books like this complete with stickers make it easy for kids to lay on the floor and color. Order a copy of the Christmas Coloring Book For Toddlers for that special little person in your life. This is a lovely first coloring book for little kids with one image to a page. It includes over 30 pages of Christmas themed objects for them to recognize and color. This little square Christmas coloring book is a good size for small hands and is suitable for boys and girls. A super cute Christmas coloring book for toddler boys and girls! Help your little ones celebrate the holidays with this big coloring book that is perfect for little hands. Easy to color designs help to build fine-motor skills and hand-eye coordination. Adorable designs including snowmen, elves, Christmas trees, Santa Claus, angels, presents, toys, stockings, and more! In ‘Christmas Coloring Book For Kids’ you will find pages of Santas, reindeer, teddy’s, Christmas trees, decorations and more that will keep even the most active mind busy coloring in while you get those important Christmas preparations taken care of! From toddlers to teens, you’ll find everything you need to provide hours of calm, relaxing fun for your child with this Christmas coloring book. From carefully chosen images that will encourage your child’s creativity to high-quality glossy covers and thick pages, these kids coloring books are the perfect choice for your little (or not so little) one. This Christmas coloring book is fun and challenging for young artists of all ages. A wonderful holiday gift with over 70 pages of fun-filled coloring activities. Delight your little one with this Disney Mickey Mouse Christmas Coloring and Activity Book Set with Crayons. This Christmas coloring book features Minnie Mouse, Mickey Mouse, Goofy and more! It’s Christmas all year long with this jolly coloring book. Your child will love this Christmas coloring book adorned with Christmas ornaments needing colors and all sorts of coloring fun! Christmas coloring book for kids of all ages! Celebrate the season with this cute Christmas coloring book featuring full-page designs of Christmas trees, Santa Claus, reindeer, snowmen, and more. This Christmas coloring book is printed on high-quality, pure white paper on a single side for easy removal and no bleed through. Packed with 96 pages of holiday-themed projects, this book will keep kids entertained for the twelve days of Christmas and beyond. From word searches and crossword puzzles to holiday songs and recipes, My Big Book of Christmas Coloring, Songs & Activities is filled with activities for kids of all ages! Help reinforce your young child’s learning by challenging them to color-by-number. This activity book combines the fun of coloring with the exciting challenge of coloring in the right spaces. It may be difficult at first, but by the end, your child will be much more adept with coloring! Hours of fun and learning await in this winter color by number book! Elisa Art Designs Team has collected various Christmas Coloring Book Designs just for kids. Be the artist that you can be by transforming the outlined and black and white designs into colorful works of art. The Christmas Coloring Book for Kids will keep you happy for hours, so grab copies for you and your family now! A fun collection of coloring, stickers, puzzles, games, and Christmas activities for kids, teens, and adults to enjoy with the whole family this holiday season. Mad libs anyone? Where’s Waldo Christmas edition? You can find them all below! Allow your kids’ creativity run wild with this Christmas activity book for children. This activity book is printed on one side and filled with a ton of holiday fun! It’s Waldo’s world, and it’s all decked out for Christmas! Snowmen, skis, toys, and other wintry images from Waldo’s previous adventures combine with unique new artwork to create a hide-and-seek holiday extravaganza. Hundreds of stickers add dimension to the hunt, while a special gatefold spread invites readers into Waldo’s world. Young seekers will adore the stickers and the “create-your-own-Waldo” activity, while longtime fans will revel in the exclusive new art and classic search-and-find format. Finding Waldo has never been so festive! Christmas is a wonderful and festive holiday. This Christmas Activity Book is filled with hours of fun recipes, mazes, crafts, crosswords, mad libs and MORE. These activities will get young ones in the spirit of Christmas and remind them what this holiday is all about. Enjoy 8 different fun screen-free kids activities for Christmas: Crosswords, coloring pages, mazes, dot-to-dots, hidden pictures, word searches, picture matching, and paper crafts! This Christmas book for children contains original puzzles and games suitable for kids ages 3-12. 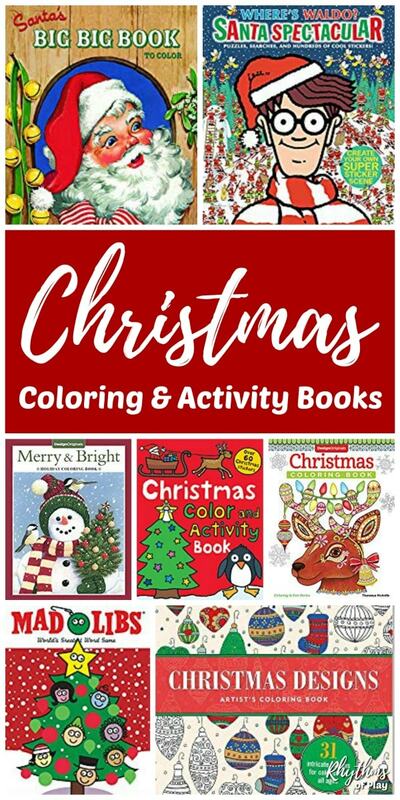 This brilliant, full-color activity book has a fun Christmas theme running throughout. Packed with hours of Christmas fun, this book will be a great present or stocking filler. Includes classic puzzles, such as spot-the-difference, and many more fun things to make and do, it is the perfect book for entertaining children aged six and above throughout the holidays. The weeks and days that lead up to Christmas are one of the most exciting periods in any child’s life and this activity book was designed to complement that feeling. It is filled with Christmas themed mazes, Coloring pages, puzzles and lots more, for kids ages 4-8. The lead up to Christmas is an exciting period and this workbook provides an opportunity for young ones to have fun, learn and at the same time hone their skills. The pages eagerly await the strokes of your child’s pencil to solve puzzles, find missing words, color, trace, and even draft a letter to Santa! Are you counting down the days until Christmas? Have you finished your Christmas list, set up your Christmas advent calendar, hung up your stockings , and helped decorate the tree – only to sit back and continue counting down until the big event? The Everything Kids’ Christmas Puzzle & Activity Book invites you to stop the waiting game and dive straight into the holiday fun! Jam-packed full of puzzles, mazes, games and activities, The Everything Kids’ Christmas Puzzle & Activity Book will make the time before Christmas pass by in a flash! These Dover sticker books are great for keeping a toddler entertained while waiting for food in a restaurant, or stuck in a waiting room. The glossy cardstock makes it easy to re-position the stickers to re-use over and over again. With more than 1,000 colorful stickers, Ultimate Sticker Collection: LEGO® Winter Wonderland is festively fun, packed full of snowy scenes, perfect presents, excited elves, and much much more. Covering a range of LEGO properties, this coloring book is perfect for old and new LEGO fans alike! Children will adore exploring wintery worlds and decking the halls with candy canes with Ultimate Sticker Collection: LEGO Winter Wonderland. Ho, ho, ho! Enjoy the wonderful Christmas season with doodling fun, super puffy stickers, and fun activities for kids! Snowmen, carolers, reindeer, and other fun holiday-themed characters are ready to celebrate in Super Sticker Activity: Christmas! 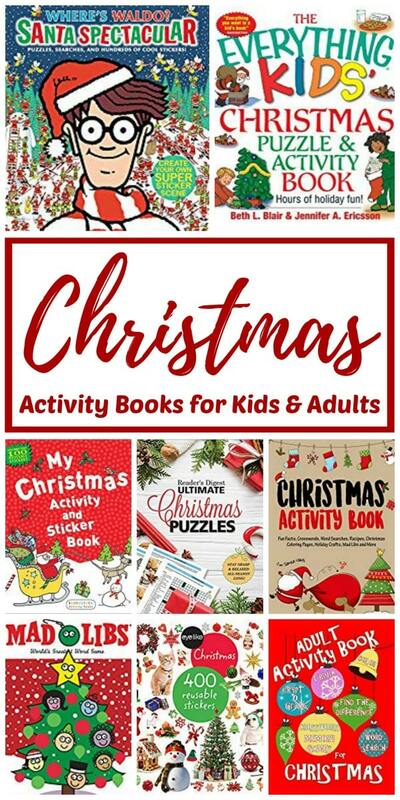 Perfect for at home or on the go, this 32-page book contains fun and engaging activities featuring childrens’ favorite things about Christmastime. EyeLike Stickers: Christmas celebrates the biggest holiday of the year with 400 high-quality, photographic images that are amazingly lifelike in color and detail. The durable, reusable stickers are designed to be stuck on and peeled off over and over again without losing adhesive. This Christmas sticker book includes; ornaments and Santa hats, reindeer and an old-fashioned sleigh, trees to decorate, stockings to hang, presents to unwrap—every page of stickers captures the feeling of Christmas. Use them to decorate notebooks, cards, scrapbooks, crafts, party invitations, lunchboxes, even windows! Create a lively scene on the book’s inside front and back covers and change them up when the mood strikes. This festive activity book is bursting with holiday cheer! Thirty-six entertaining Christmas puzzles challenge kids and teens to figure out the names of Santa’s reindeers, identify matching ornaments, and solve crossword puzzles with illustrated clues of a stuffed stocking, toy soldier, and other seasonal treats. Additional puzzles include word searches, fill-in-the-blanks, mazes, cryptograms, and more. Solutions are included. A photographic puzzle book features rhyming riddles that invite young readers to locate hidden objects–clocks, nickels, pickles, frogs, and others–among double-page spreads filled with holiday delights. Start your Christmas celebration early with this fun and challenging Christmas activity book for adults! Fun Christmas trivia quizzes, Christmas word search, Christmas crosswords, and adult Christmas coloring pages. Also included are Christmas cryptograms, Christmas word scrambles, and sudoku. Christmas is everyone’s favorite time, and Reader’s Digest Ultimate Christmas Puzzles is the perfect gift. Take an hour, take a minute, or just crack open this copious compendium for a spur-of-the-moment teaser that will help you to stay focused and relaxed throughout the busy holiday season. This collection of Christmas puzzles includes creative crosswords, Spot the Difference photos and illustrations, mind-bending quizzes, tricky word searches, challenging sudokus, mazes, brainteasers, festive trivia, word games, and so much more—all guaranteed to tone your brain while celebrating the holiday spirit! Give the gift of word search this Christmas! This collection of fun easy to read holiday-related puzzles is perfect for kids, teens, and adults. This Christmas word search puzzle activity book includes free bonus puzzles available for download. Adult coloring books provide a wonderful way to practice mindfulness and relieve stress during the holiday season. 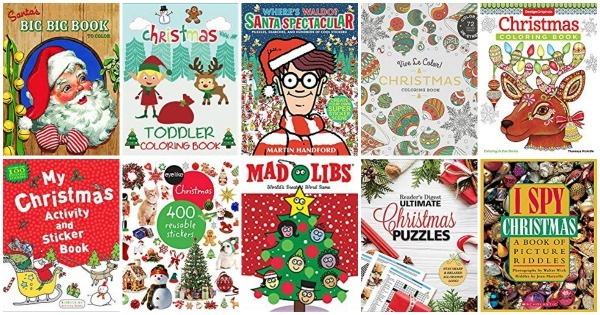 Try your hand at any of the Christmas coloring books for adults below! 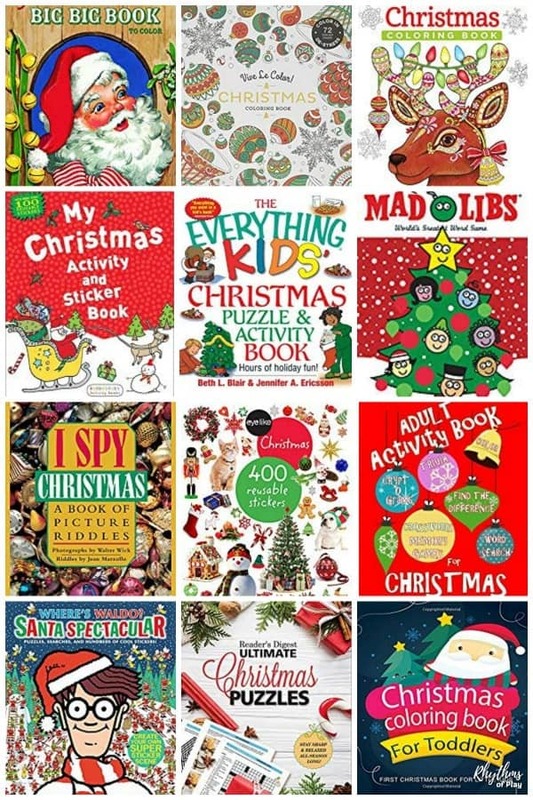 Christmas activity books with puzzles and word searches are listed in the section above. The classic Christmas tale is now your canvas! Filled with the stunning illustrations that made artist Charles Santore’s picture book edition of The Night Before Christmas a New York Times bestseller, this new Coloring Book edition is sure to light up the gift-giving season. Our Christmas Coloring Book is filled with joyful designs for the holiday season. Enjoy a magical adventure as you meet Mr. and Mrs. Santa Claus, adorable snowmen, cute penguins at the North Pole and a yummy gingerbread house. Along the way, you’ll also see more Christmas seasonal sights to color; Santa delivering presents, a beautiful snow globe, Santa’s elves wrapping gifts, and a wonderful Christmas tree decorated with ribbon. A seasonal treasury of Christmas coloring everyone is sure to enjoy! This charming Christmas Coloring Book features 32 fun and playful art activities that will take you on a festive journey of patterning, shading, and coloring sure to put you in the mood for jolly yuletide fun! You’ll encounter many wild and whimsical holiday characters here, from saucy snowmen and ice skating birds to acrobat elves and stocking stuffer puppies. These whimsical holiday images offer an easy way to de-stress and unleash your inner artist. A Colorful Christmas is the perfect coloring book for the holiday season. This coloring book features 50 single-sided images that are sure to get you feeling merry and bright. Whether you’ve been naughty or nice, put “A Colorful Christmas” on your wish list today… who knows! Maybe you’ll find it under your Christmas tree this holiday season! This colorful Christmas coloring book is a perfect way to relax and be creative at the same time! This amazing book has “50” designs for coloring and having fun while making a masterpiece. Each illustration is perfect for any coloring tools you have. You can use crayons, colored pencils, markers, gel pens, or watercolors. This Christmas themed coloring book will help you bring joy to the holidays! Leave your stress life on the table as you color this wonderful Christmas coloring book for adults. Lose the seasonal stress as you immerse yourself in this merry medley of Christmas designs for artists of all ages. This Christmas coloring book is made with Heavyweight paper that is superior to that of other coloring books. Each design is printed on only one side of a page so there is no bleed through. Short-circuit the stress as you color these meditative patterns! This Christmas coloring book for adults contains different scenes and symbols of Christmas in a nice little town. Color it with pleasure! There are 40 relaxing Christmas designs to color in this Christmas coloring book for teens and adults. Each coloring page is designed to help relax and inspire and the variety of pages ensure there something for every skill level. Makes the perfect holiday gift idea! Whether you want to unplug completely or be creatively engaged while commuting or watching TV, this adult coloring book offers 72 pages of beautiful and meditative designs to keep your spirits bright and colorful through the holiday season. It is filled with reindeer, gingerbread men, candy canes, holly, stockings, snowflakes, nutcrackers, and other delightful Christmas-themed patterns you are sure to enjoy! It’s snow much fun to color with this festive adult coloring book! These delightful holiday illustrations will make even the coldest of days merry and bright. Includes inspirational Christmas quotes and uplifting holiday messages to bring holiday cheer to the season. A perfect family gift to celebrate the season! From Santa to snowmen, reindeer, sleds, snow globes, festive decorations and more, this unique collection of 55-holiday designs to color will give you many hours of enjoyment. Each design is printed on its own page, single-sided. The illustrations offer various levels of complexity, so everyone, from beginning colorist to expert will be pleased. This Christmas imagery is sure to lift your spirit, bring much-needed calm to your Christmas chaos, and provide hours of creative coloring pleasure for artists of all ages. Coloring in this Christmas coloring book is a wonderful way to celebrate advent and keep the true meaning of Christmas alive in your heart, your home and with your children. The unique hand-drawn designs on these Christmas cards for coloring provide you with a relaxing experience to create your own Christmas cards. The drawings are easy to color and perfect for colored pencils , gel pens , or marker pens ! Red and green envelopes are included with this beautiful set of Christmas coloring cards. This collection of the best coloring tools is intended to provide you with a quick rundown of the most popular options for coloring in coloring books for kids and adults. We have included the best crayons, colored pencils, watercolor pencils, gel pens, and markers available today that you are guaranteed to LOVE! Coloring tools for coloring books make great gift ideas and stocking stuffers. Once you experience the vibrant smooth color of a real beeswax crayon you will never turn back! Our favorite colored pencils for coloring are made by Prismacolor. The thick, robust leads resist cracking and chipping making them perfect for adult coloring books. Soft, thick cores are perfect for shading and shadows with ultra-smooth, even color laydown. We recommend Lyra Waldorf Colored Pencils for young children. Sakura Gelly Roll Pens are the smoothest longest lasting gel pens around. The package below contains seventy-four Gelly Roll pens in classic colors, metallic colors, and more! There are so many wonderful types of marker pens available it was hard to choose just one! We settled on providing a collection of the best types of marker pens for adult coloring books that you are sure to love! Whether you like to have your coloring tools on your desktop, or in a case to store and take with you on the go… we have a storage solution perfect for you! We hope you find the perfect Christmas coloring activity books for everyone on your list this year. Don’t forget to purchase the coloring supplies and tools to go with them if you will be giving Christmas coloring books as gifts this season. Be sure to have a look at 27 Fun Family Christmas Traditions for a Magical Holiday for more ideas! You may also like our Winter Bucket List Seasonal Activity Guide… just click on the links! Coloring books are a festive way to get in the holiday spirit. Mad Libs are always fun. I’ve always loved Christmas activity books. Mad libs has always been a favorite in my family!